The army requires a vigorous form of basic training that lasts 10 weeks. To succeed in this physically demanding time, you must eat enough calories to sustain your workouts, and those calories should be full of nutritious foods to keep you in tiptop shape. For the most part, the military provides your meals, so ensure you're making smart selections when you go through the food line. The number of calories you should eat per day during basic training depends on your gender and age. However, the 2010 Dietary Guidelines for Americans breaks down caloric requirements for individuals; someone in basic training should follow the guidelines for an "active" person. For women age 19 to 30, that's 2,400 calories a day; for women age 31 to 35, the cutoff age to enter training, it's 2,200 calories. Men age 19 to 35 should eat 3,000 calories a day. Due to the intense nature of basic training, you might need to eat additional calories. A U.S. Air Force Dietetics pamphlet recommends eating every four hours and consuming five to six smaller meals a day to boost metabolism. Carbohydrates provide the first line of fuel for your body, so they are absolutely necessary to succeed in basic training. Aim to consume at least 45 percent to 65 percent of calories from carbohydrates through food sources such as fruits, vegetables and whole grains. The intense workouts of basic training will break down your muscles; help repair them with plenty of lean protein -- around 15 percent to 20 percent of your daily calories from foods such as poultry and legumes. Finally, finish out your caloric allotment with healthy fats, ideally from plant sources such as plant-based oils. The food offered by the military during basic training is pretty standard, according to the website of former Army basic training company commander Raquel Thiebes. It's up to you to be selective and choose the most nutritious foods. For example, at breakfast, you can typically find less-healthy foods such as bacon, sausage, pancakes and fried potatoes, but also nutritious fare like scrambled eggs, fruit and, in some cases, oatmeal. At lunch and dinner, go for lean proteins and vegetables -- there might be a salad bar -- and skip the calorie-rich desserts. When you're out in the field during basic training, you won't have a choice of traditional foods, according to the Army website. Instead, you'll consume a meal ready-to-eat -- commonly known as an MRE -- that contains an entree, fruit or vegetable side dish, crackers or bread with spread such as peanut butter or cheese, a dessert, candy, a beverage like a sports drink or coffee and possibly hot sauce or a seasoning. Each MRE contains 1,250 calories that contains 13 percent protein, 36 percent fat and 51 percent carbohydrates, as well as one-third of the recommended dietary allowance of vitamins and minerals. Army Basic Training: What Is the Food Like in Basic? 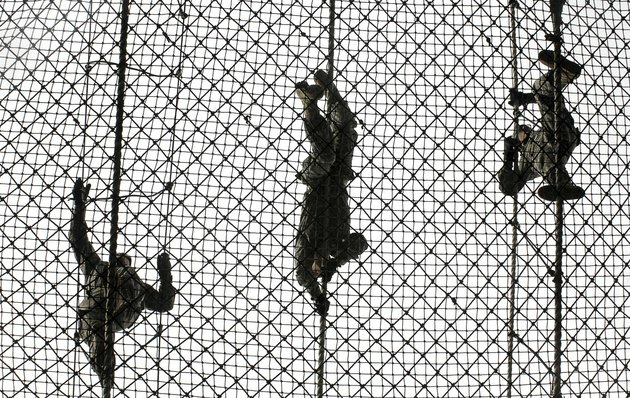 Can You Lose Weight In Basic Training?